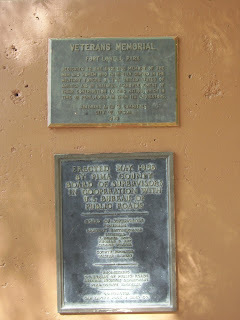 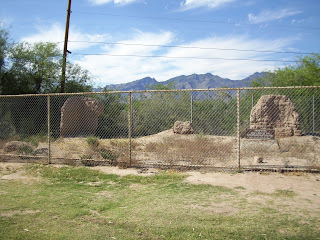 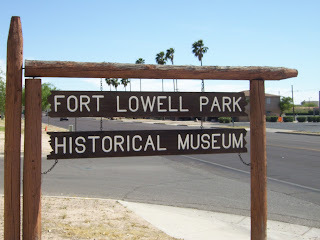 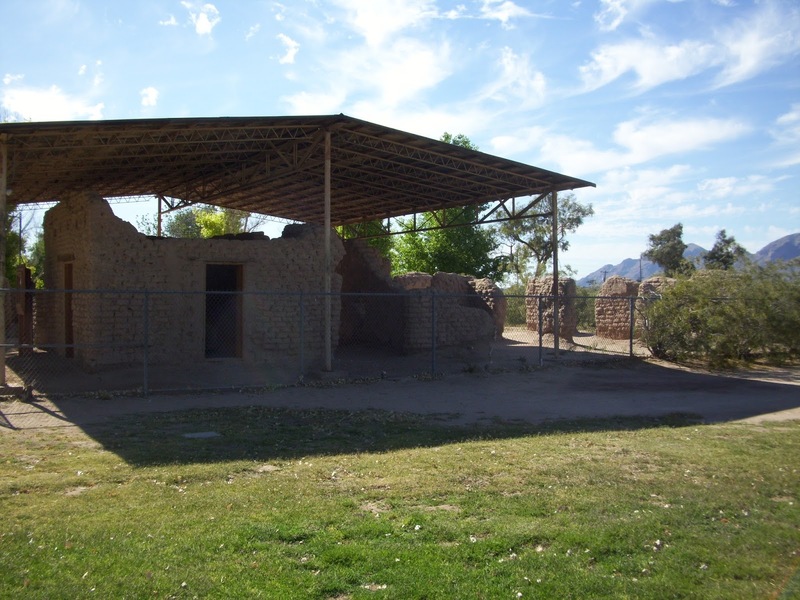 Fort Lowell was a U.S. Army post on the outskirts of Tucson, Arizona from 1873-1891. 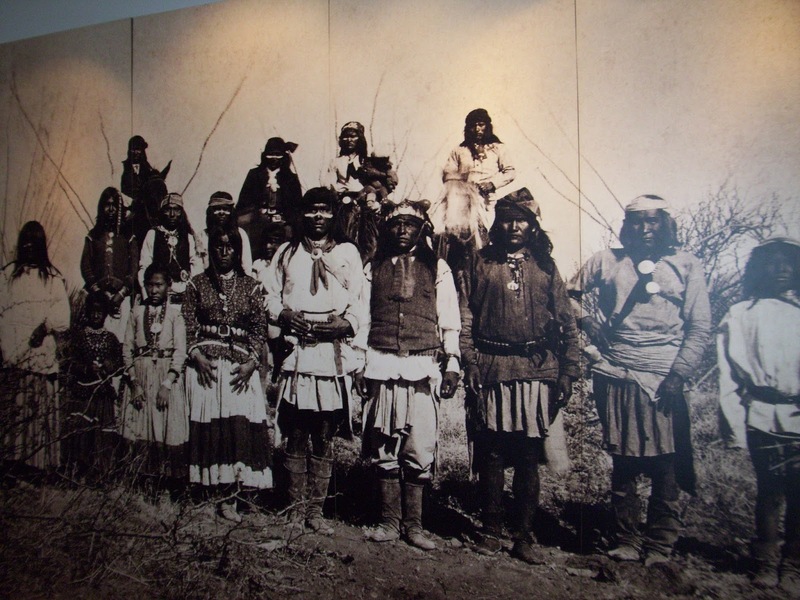 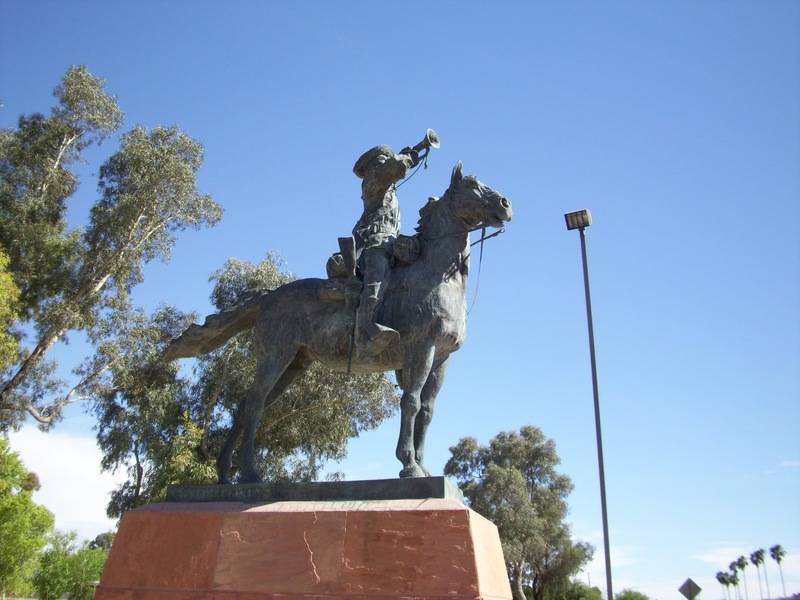 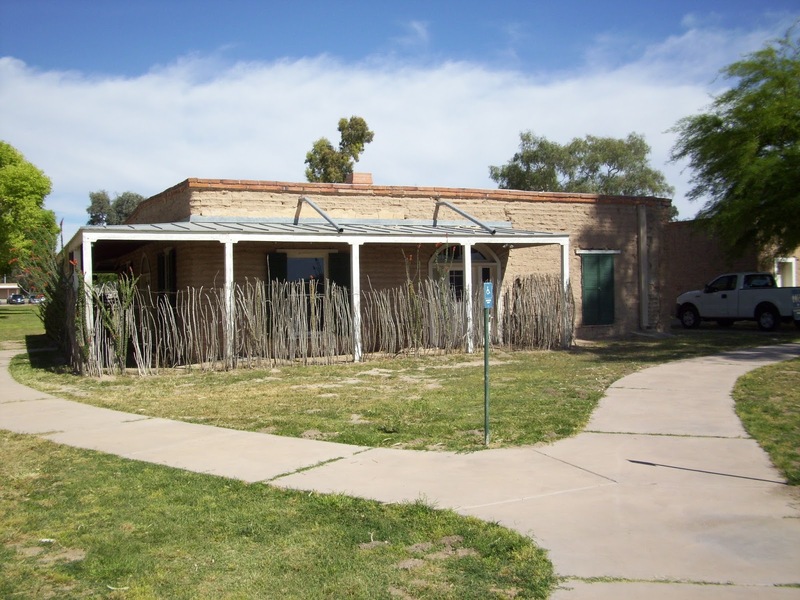 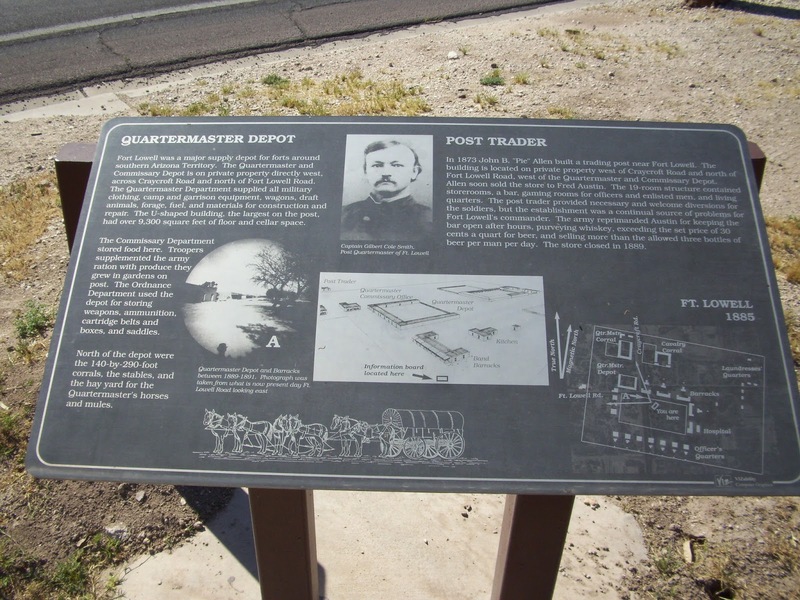 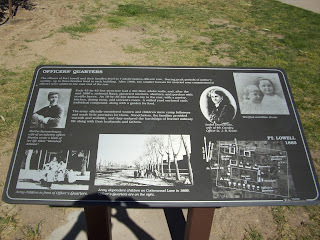 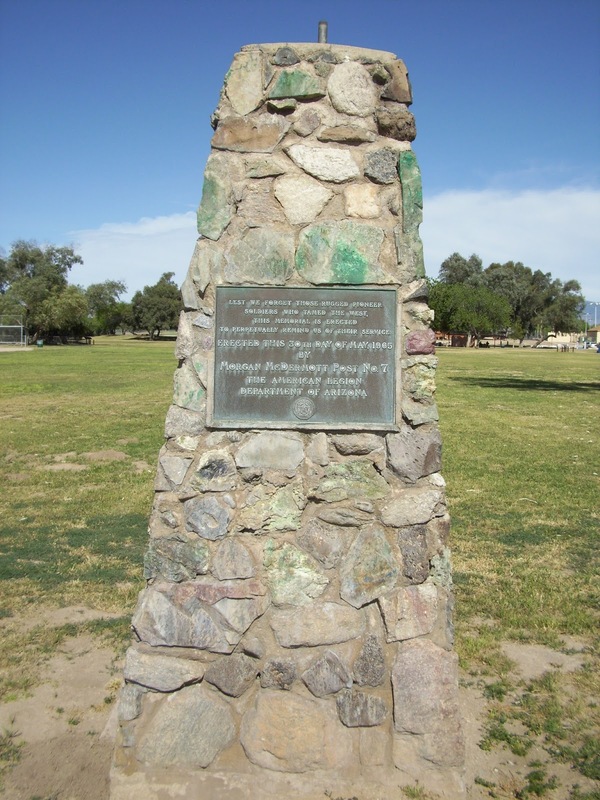 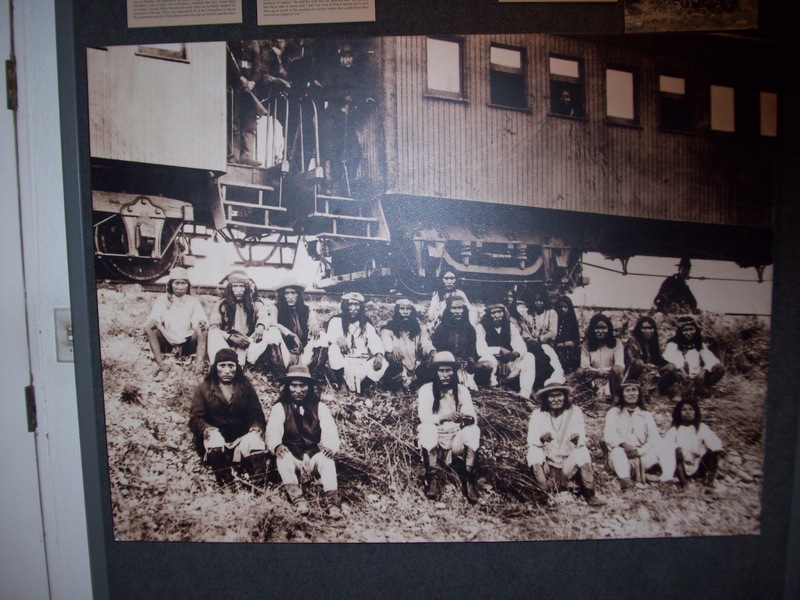 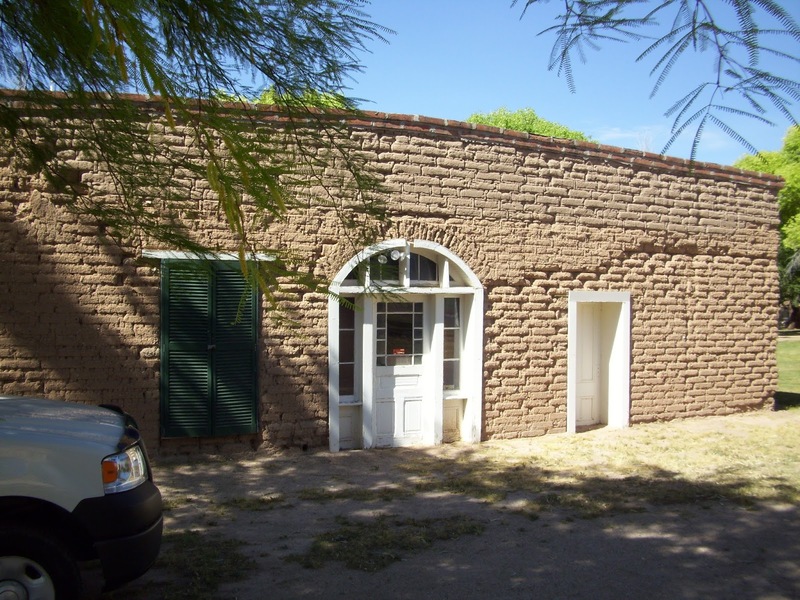 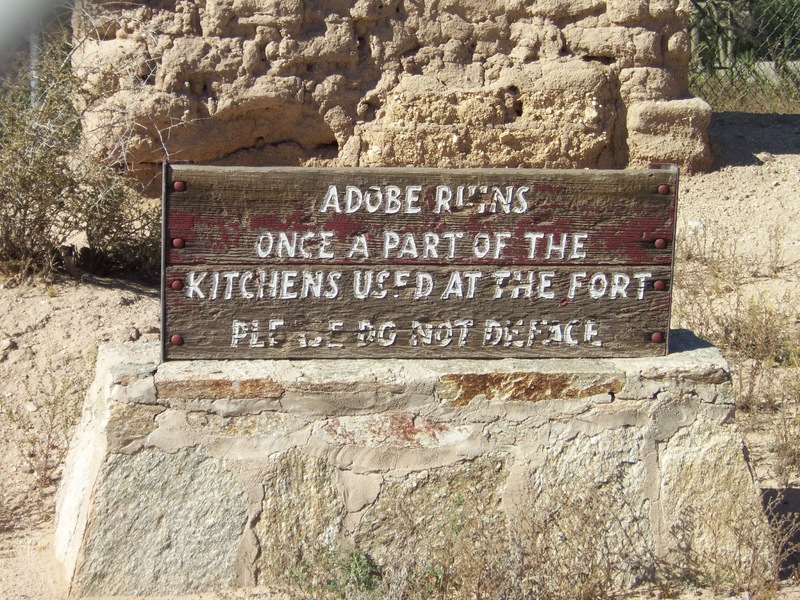 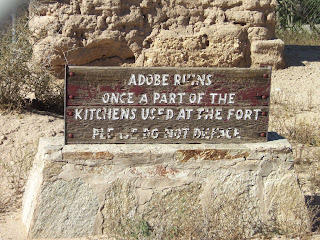 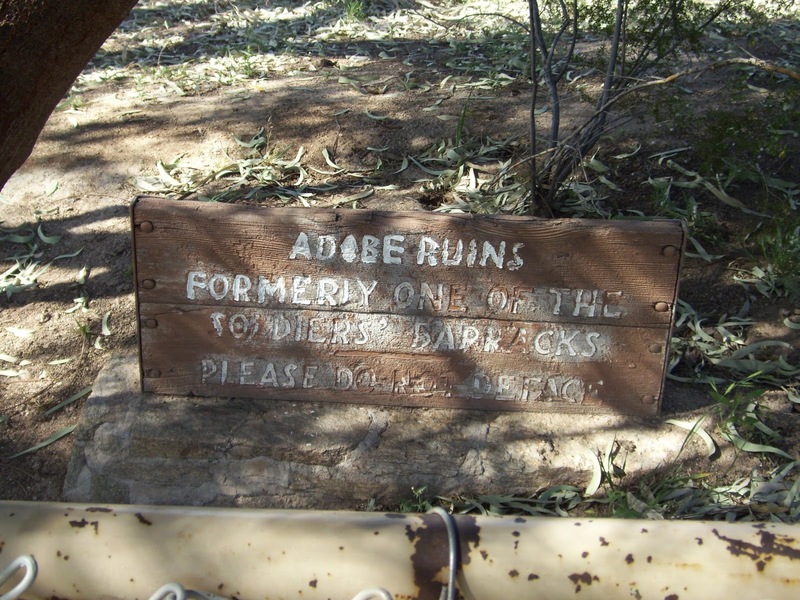 The fort played an important role during the Apache Wars of the 19th century. 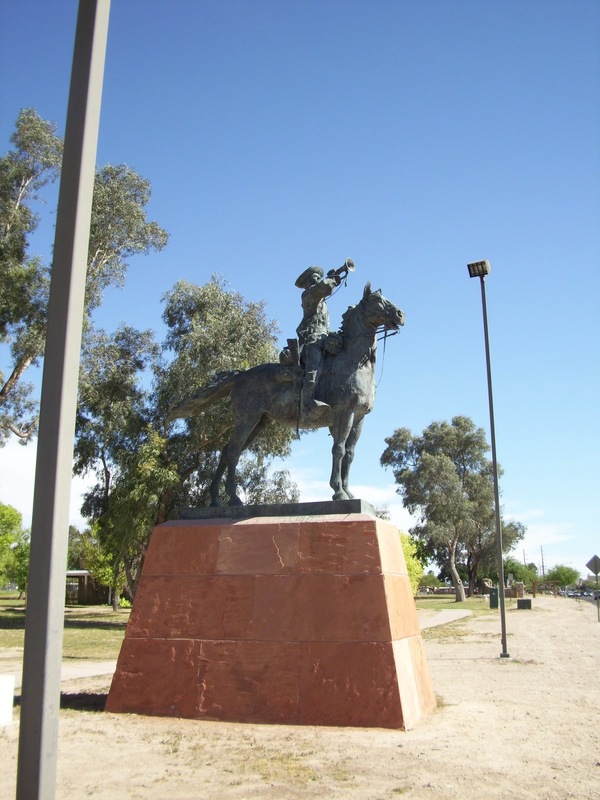 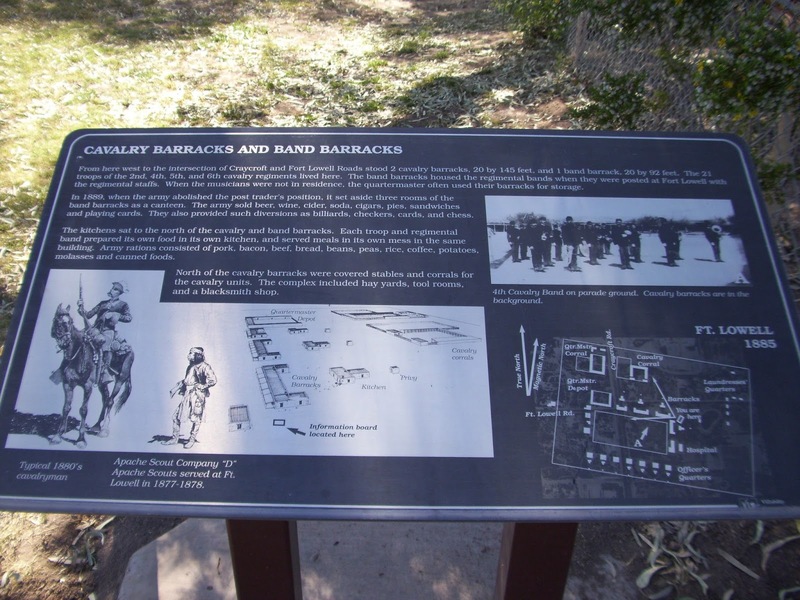 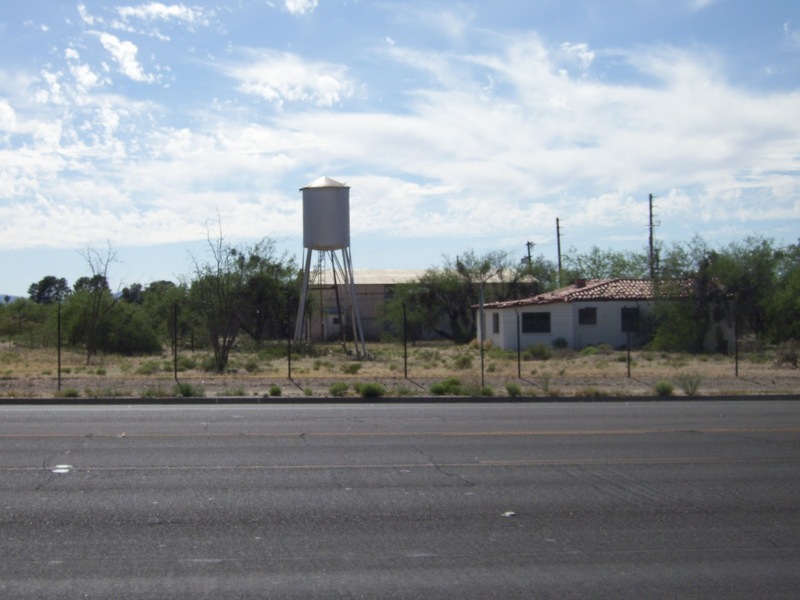 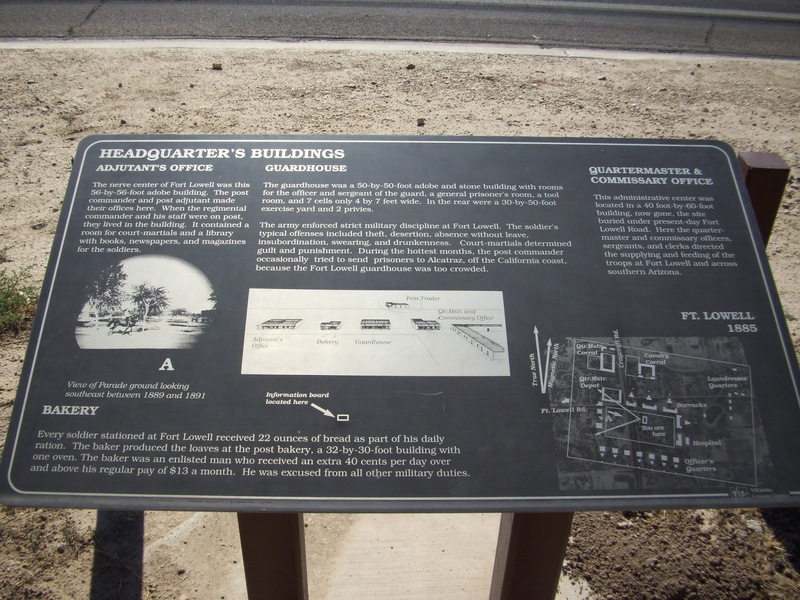 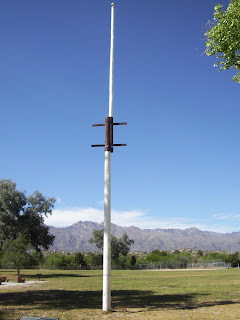 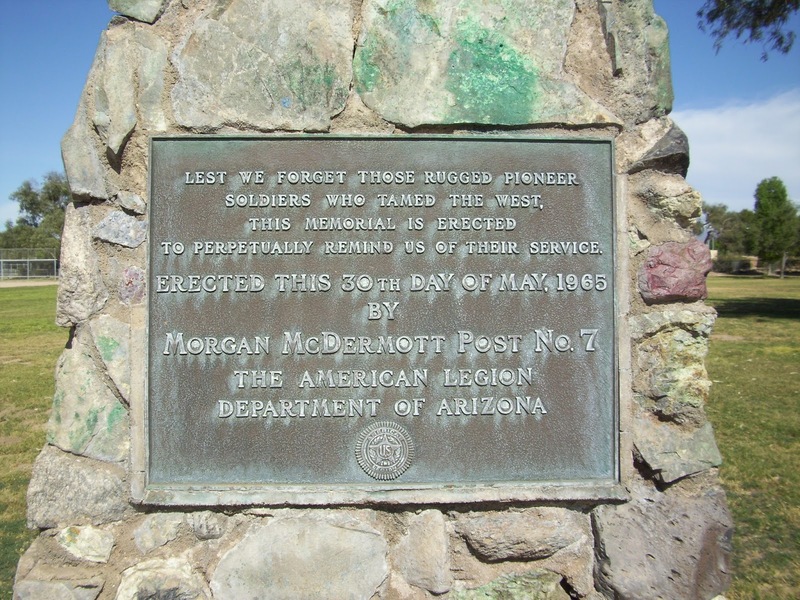 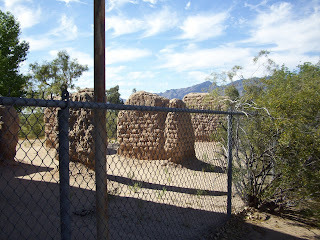 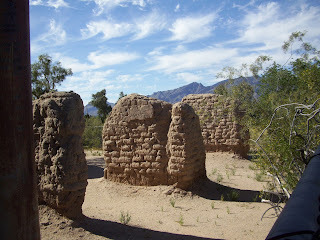 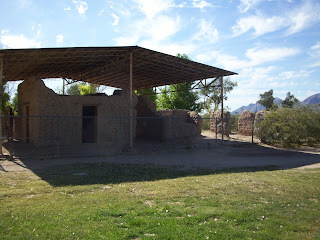 The fort provided supplies and soldiers to outlying military installations, and prevented Apache raids on Tucson due to its size and garrison. The fort averaged thirteen officers and 239 enlisted men. The fort housed a number of cavalry and infantry regiments during its history. 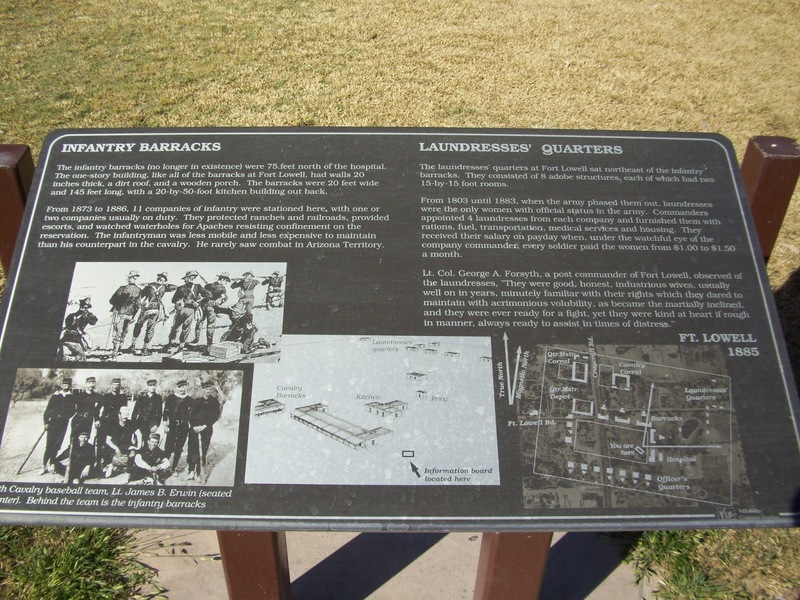 These regiments included the 2nd, 4th, 5th and 6th Cavalry Regiments, as well as the 1st, 8th, and 12th Infantry Regiments. 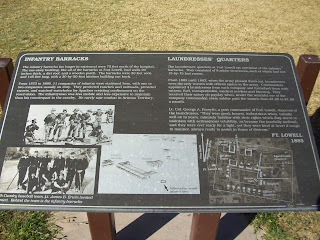 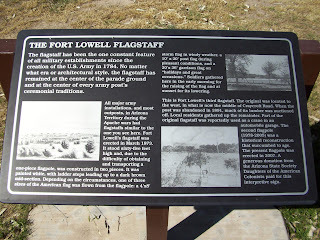 The fort featured a large parade ground, officers' quarters, quartermaster and commissary storehouses, corrals, and quarters for enlisted men as well as for married non-commissioned officers. 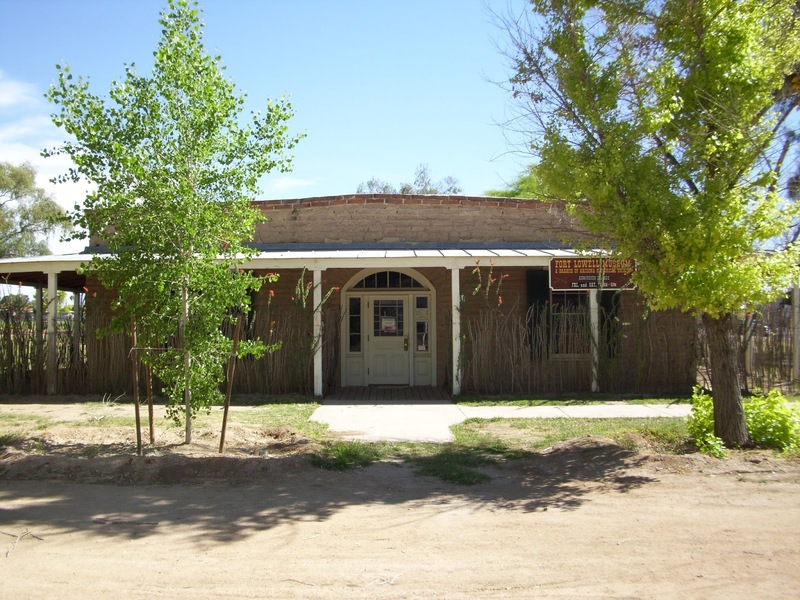 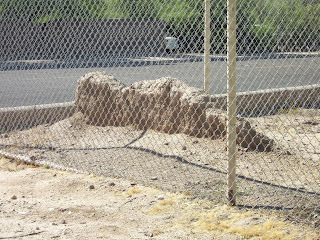 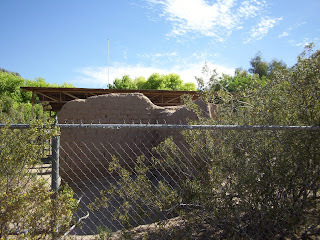 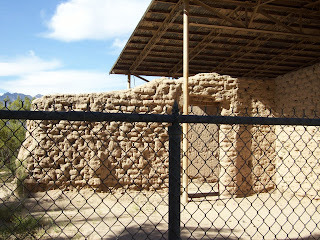 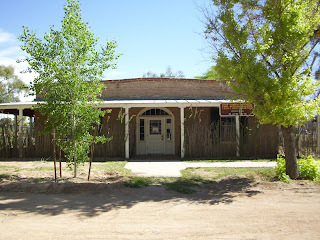 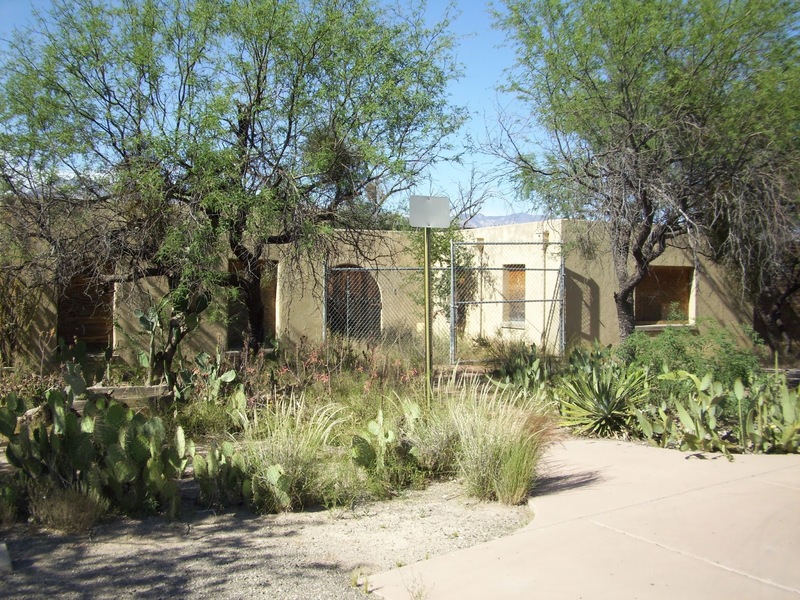 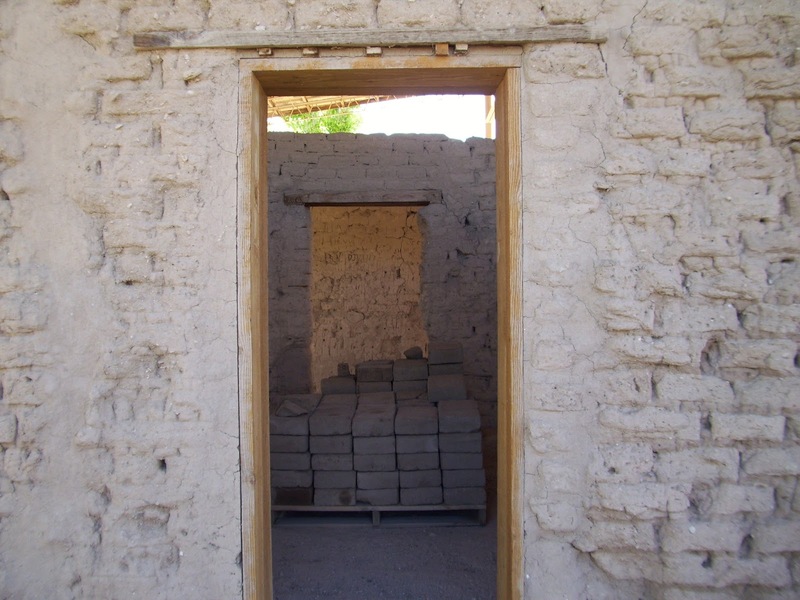 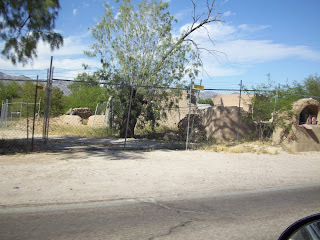 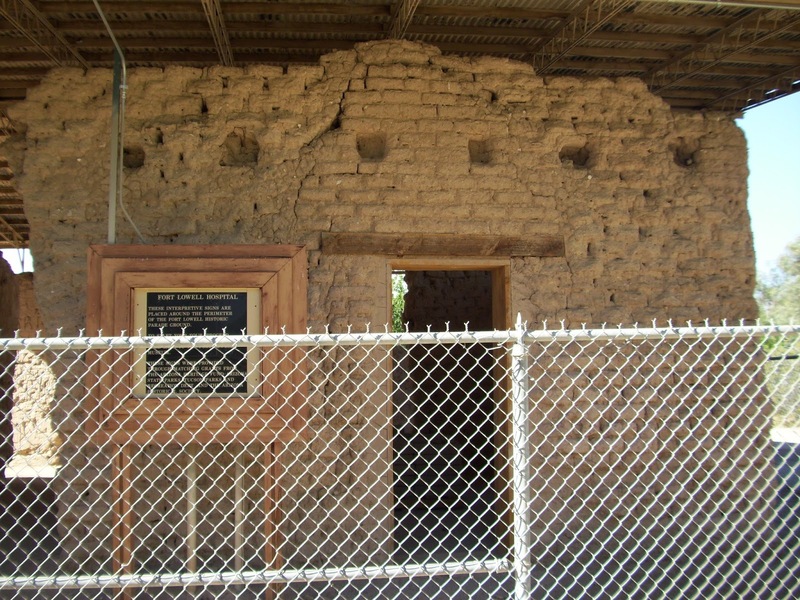 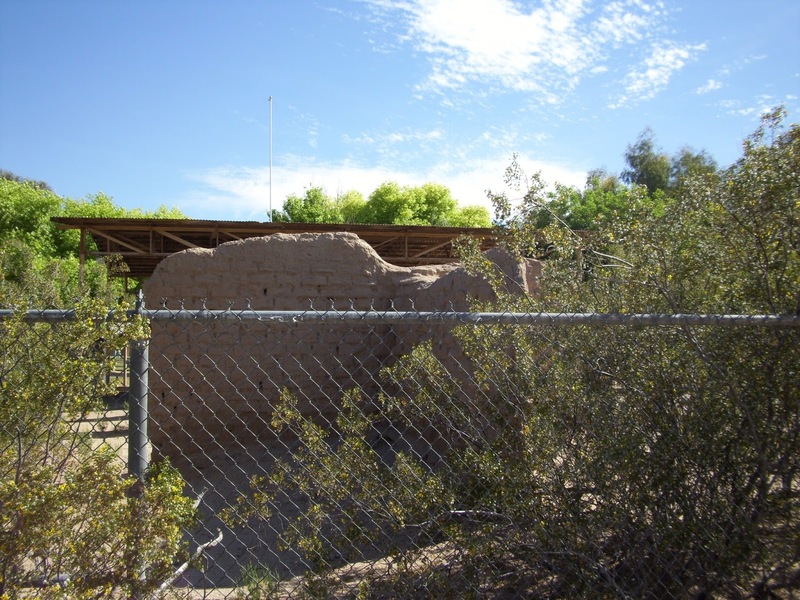 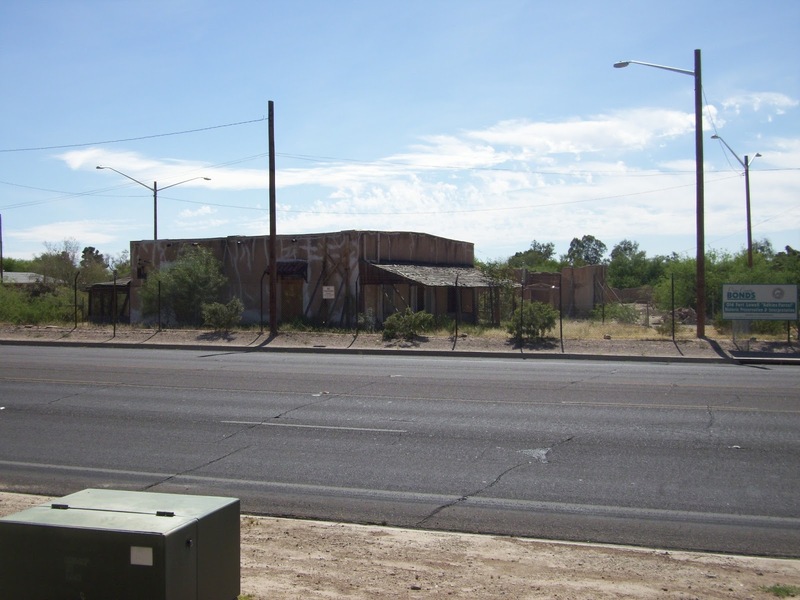 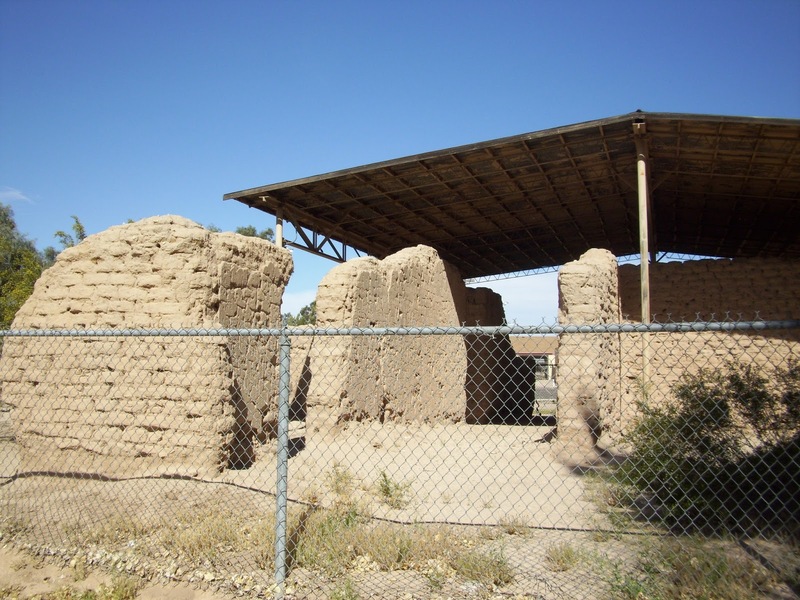 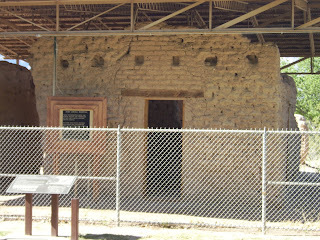 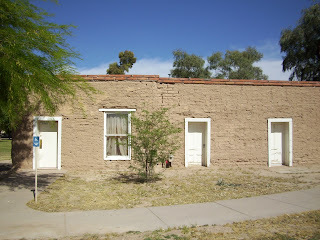 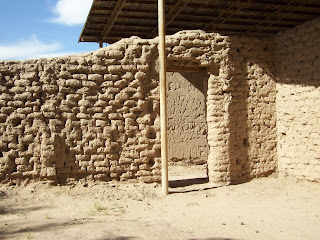 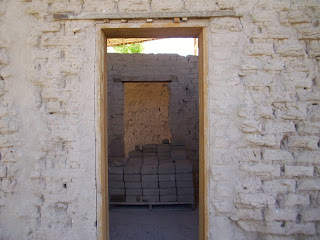 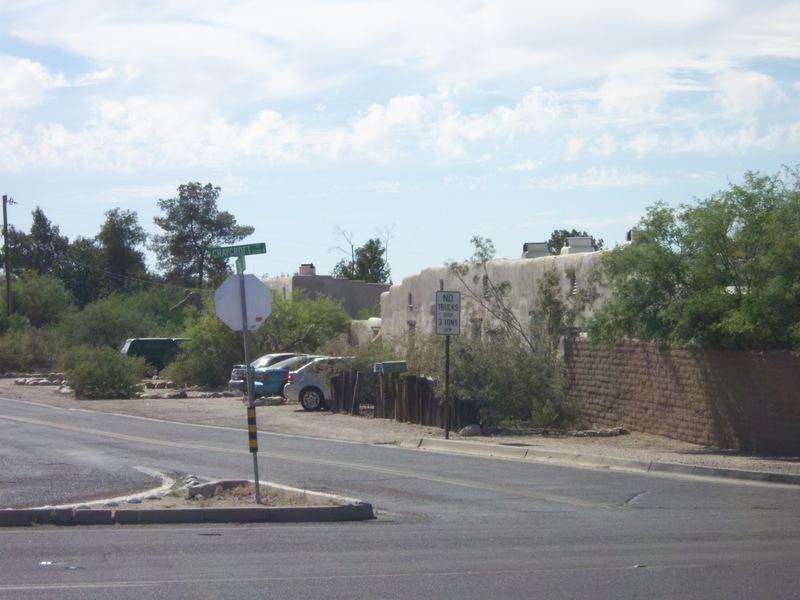 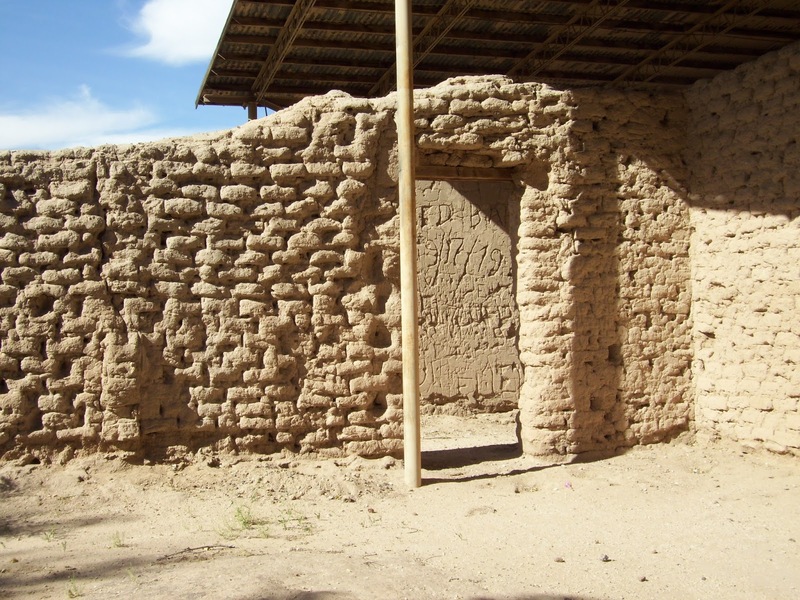 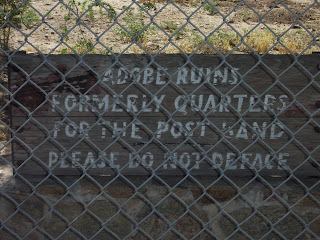 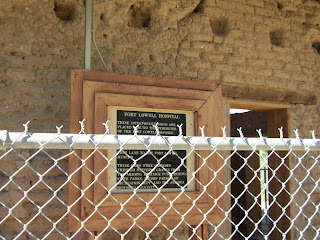 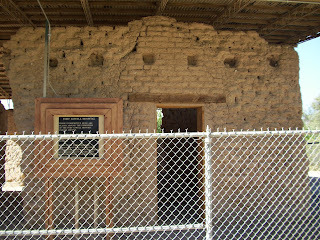 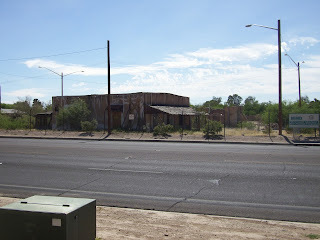 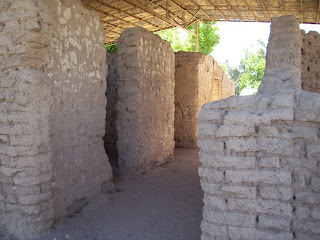 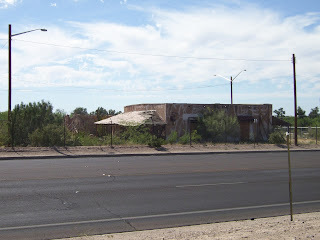 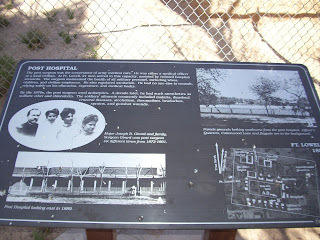 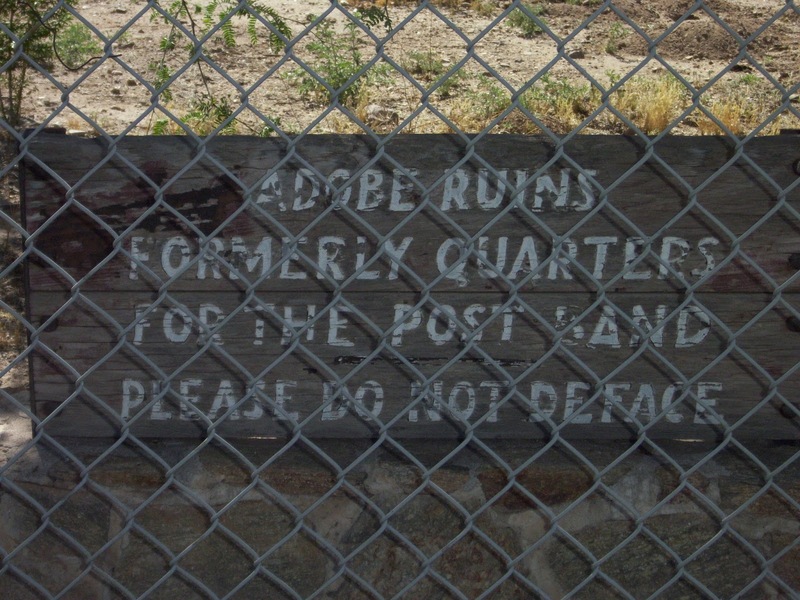 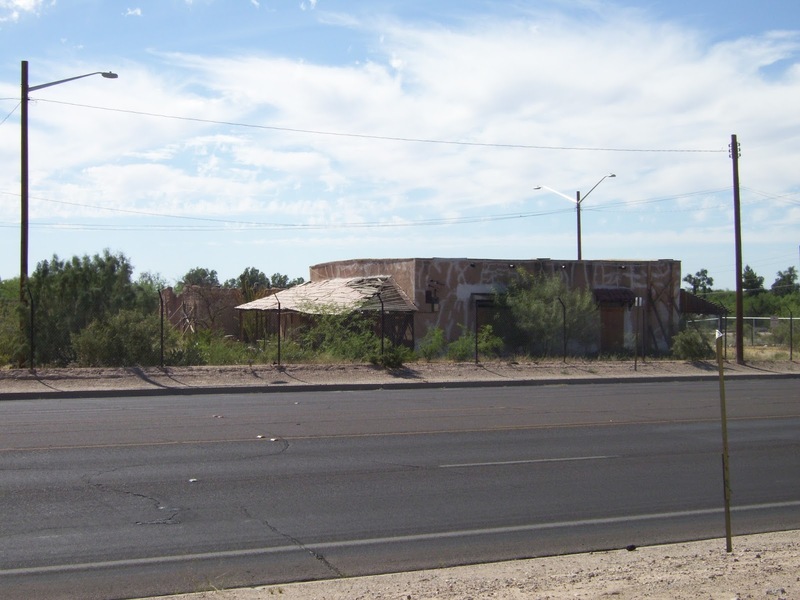 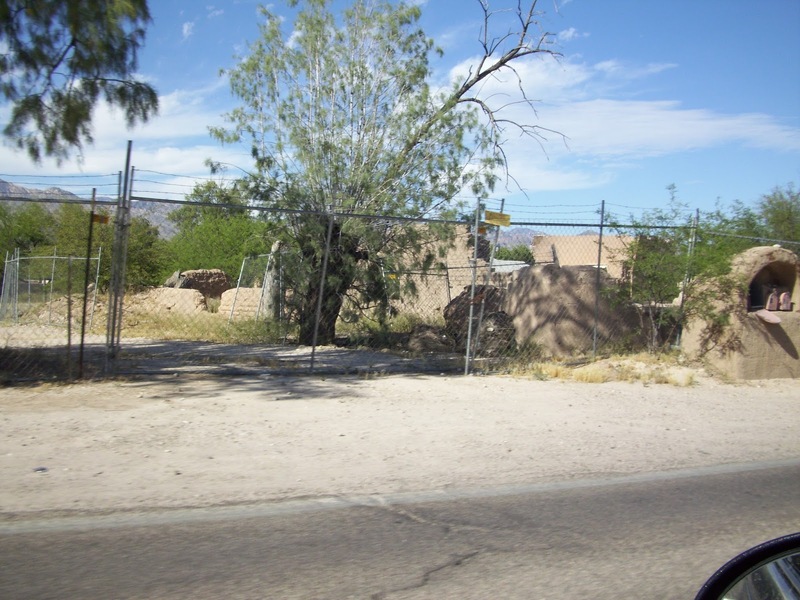 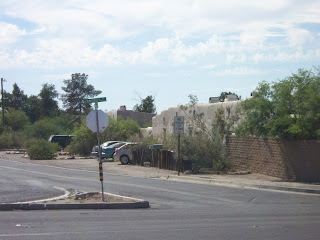 The most prominent building on post was the hospital, the adobe remnants of which still stand under a protective structure. 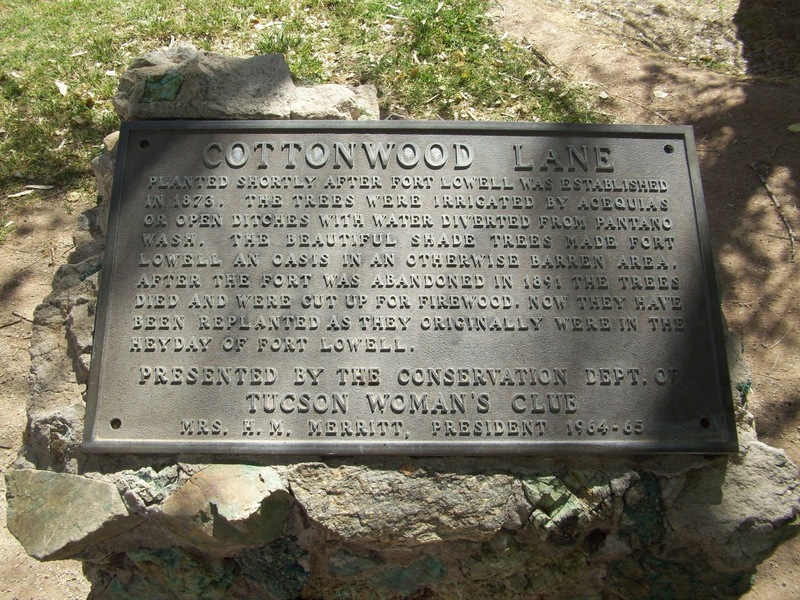 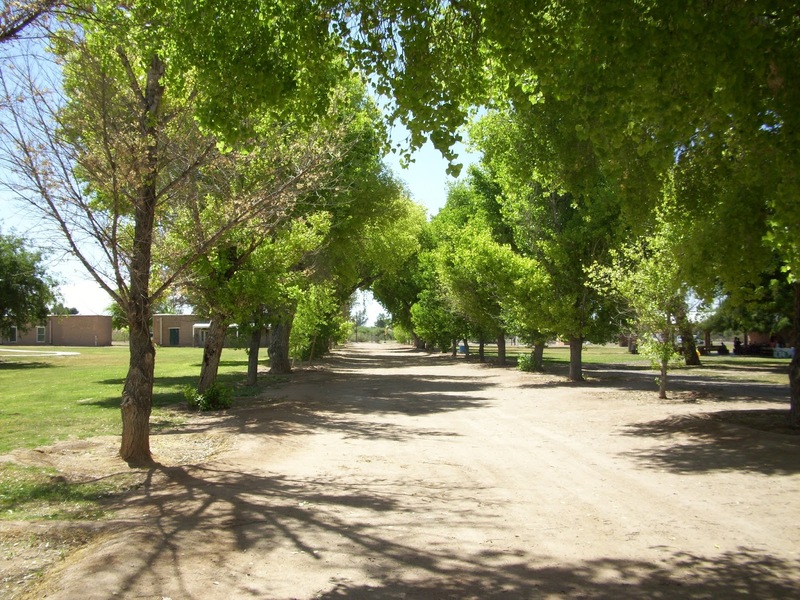 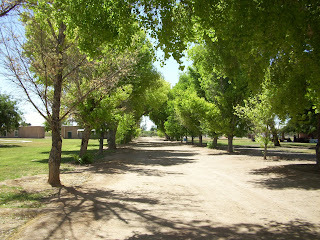 A lane lined with cottonwood trees, named Cottonwood Lane, graced the area in front of the officers' houses. 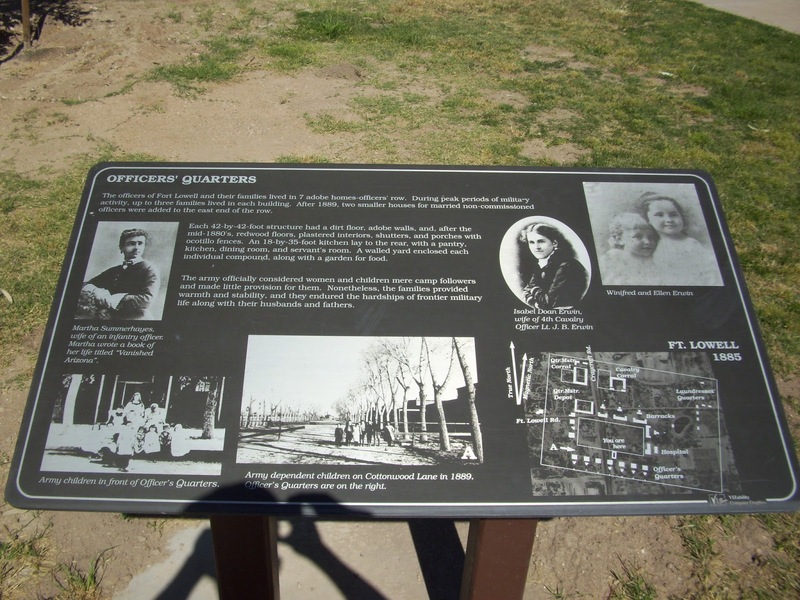 Famous officers who were stationed at the installation included Walter Reed and Charles Bendire. 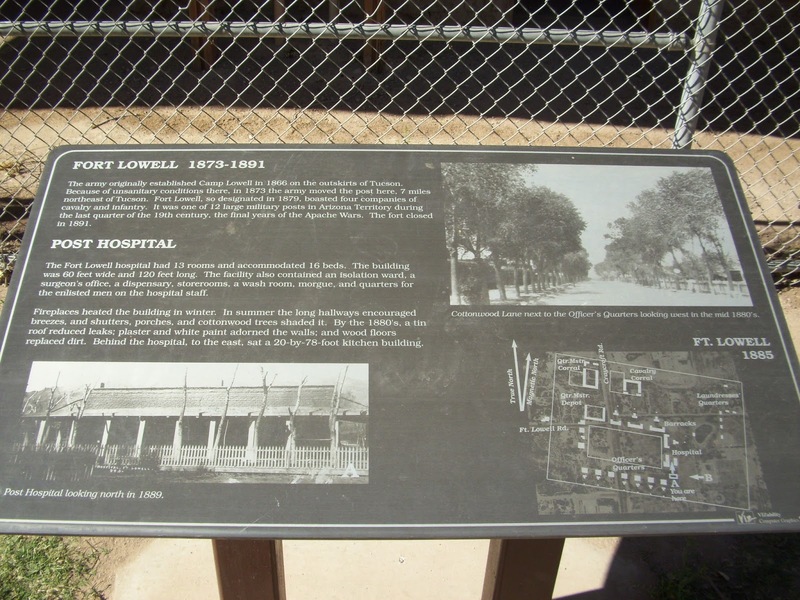 Reed was a physician who is well-known for his research on yellow fever. 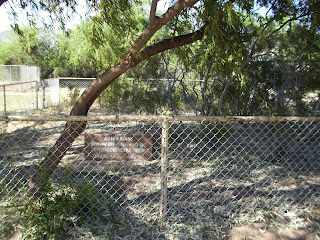 Bendire is known for his work as an amateur ornithologist. 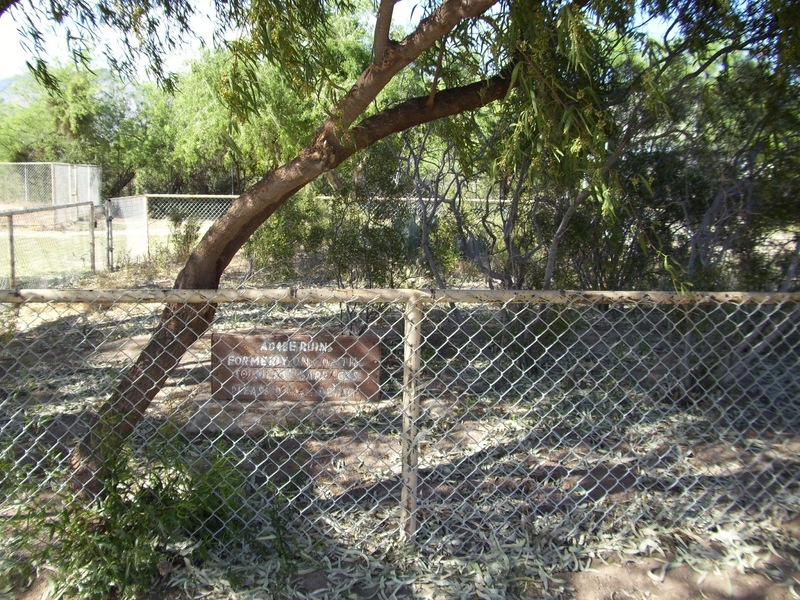 The Bendire Thrasher bird is named after him. 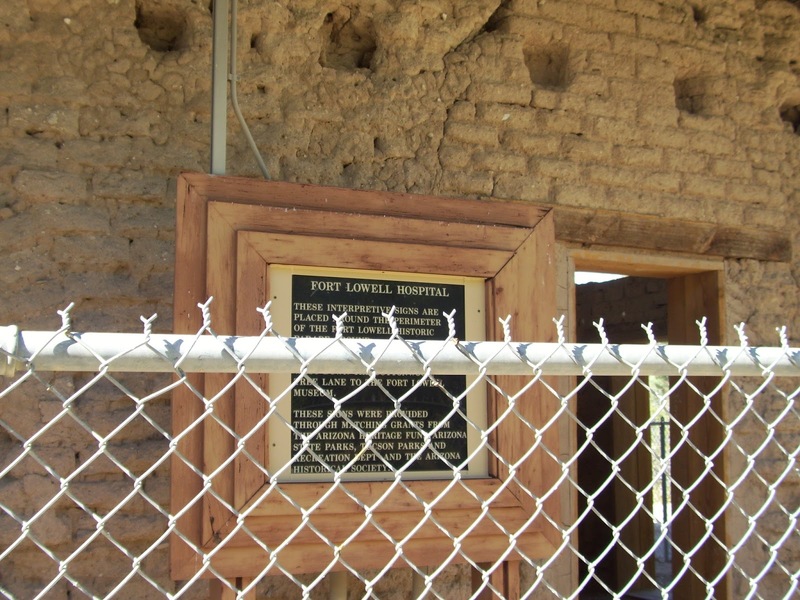 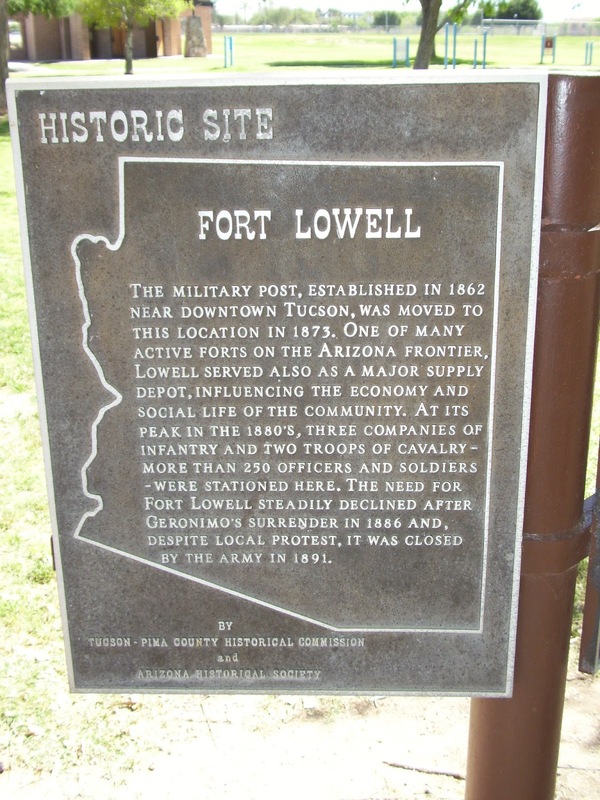 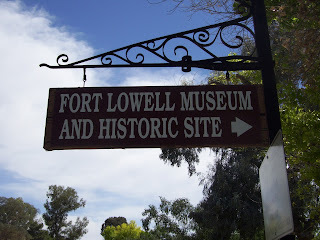 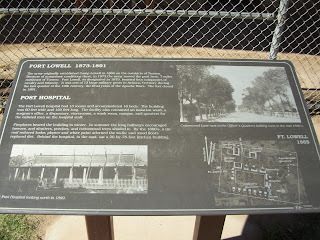 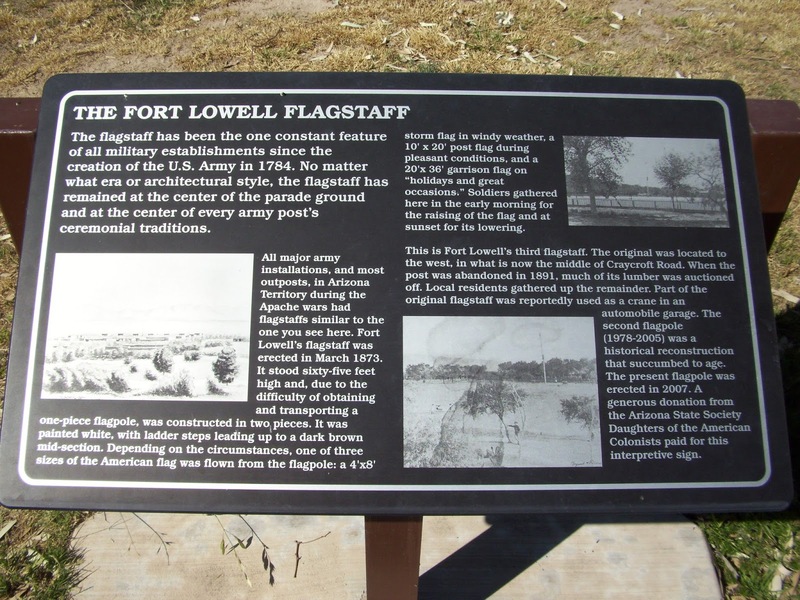 Fort Lowell was decommissioned by the Army in 1891. 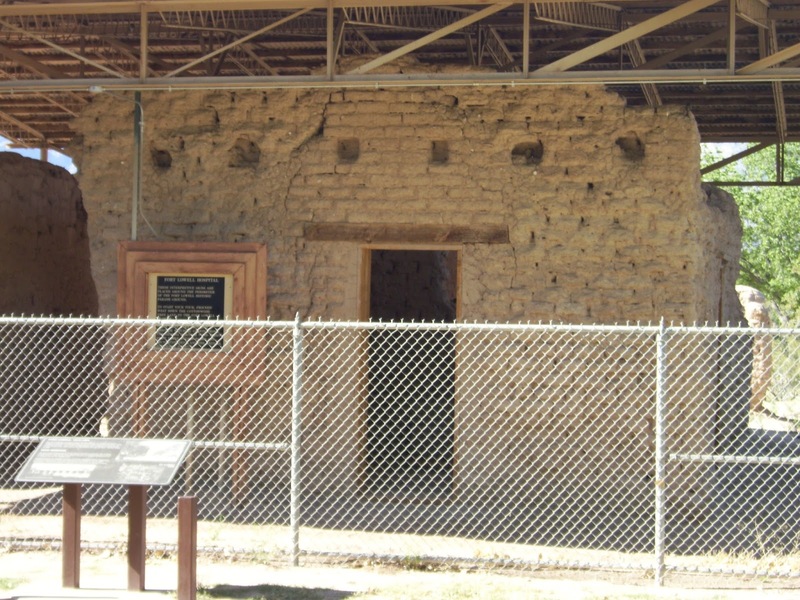 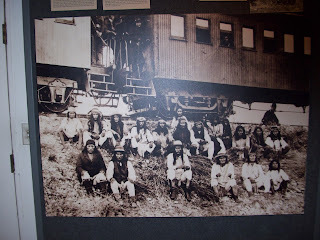 Following the departure of the Army, Mexican families from Sonora moved to the fort to take advantage of the free housing that became available. 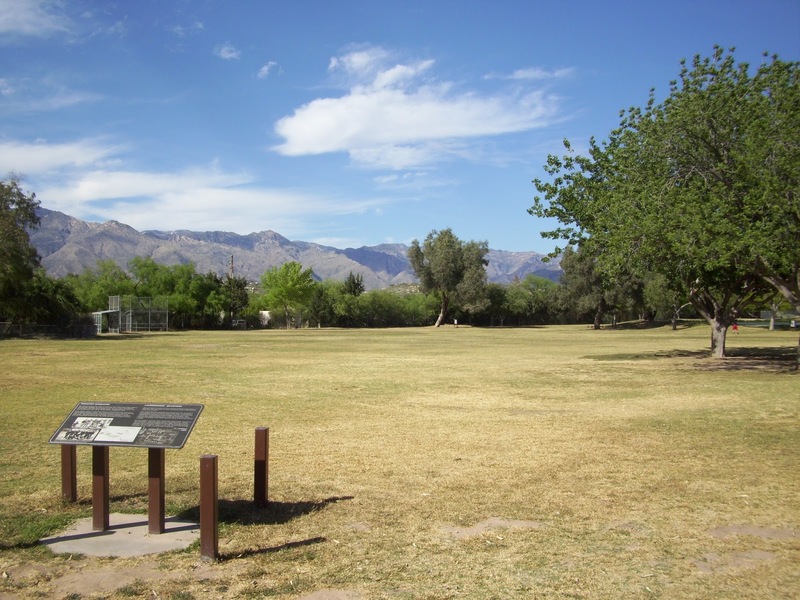 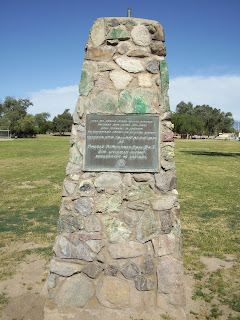 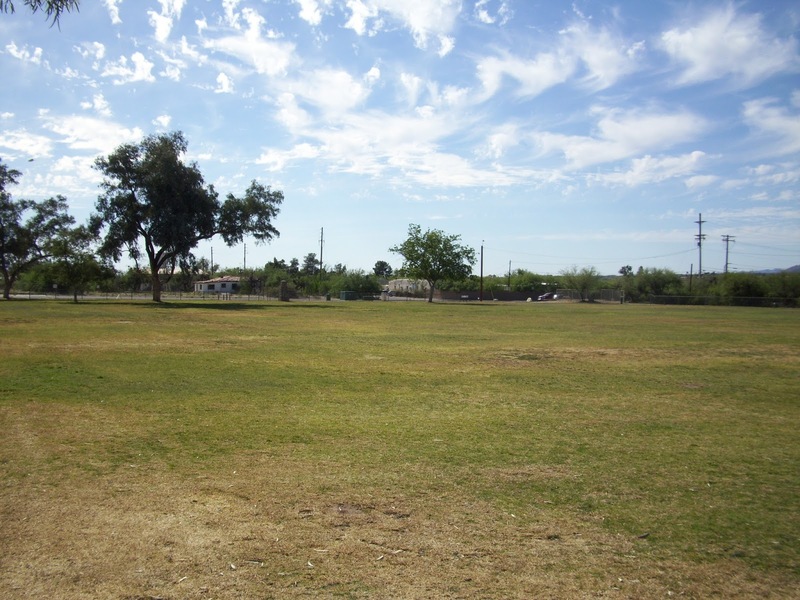 The park was added to the National Register of Historic Places in 1978. 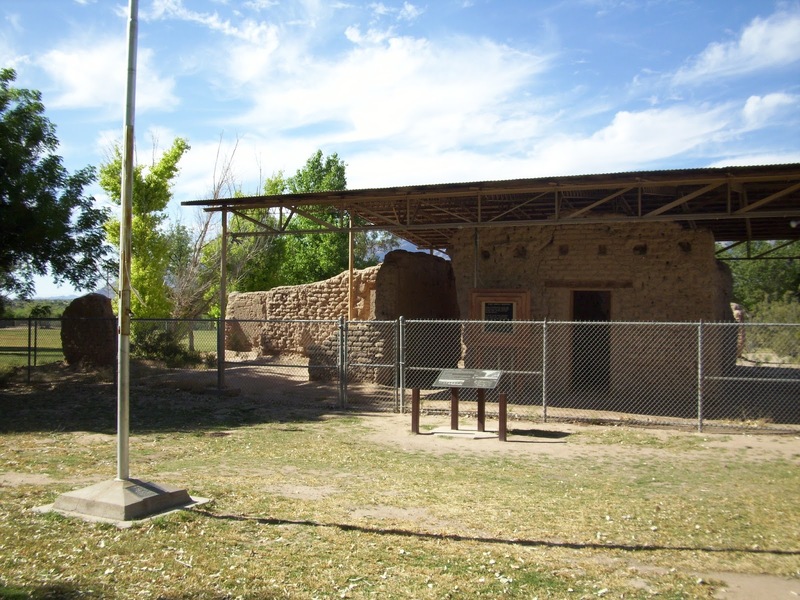 The fort museum is housed in the former commanding officer's quarters.